Storylines i.e. automation rules are the heart of the smart home: they enable you to integrate different web services and smart devices, including MicroBots, and truly connect your home. 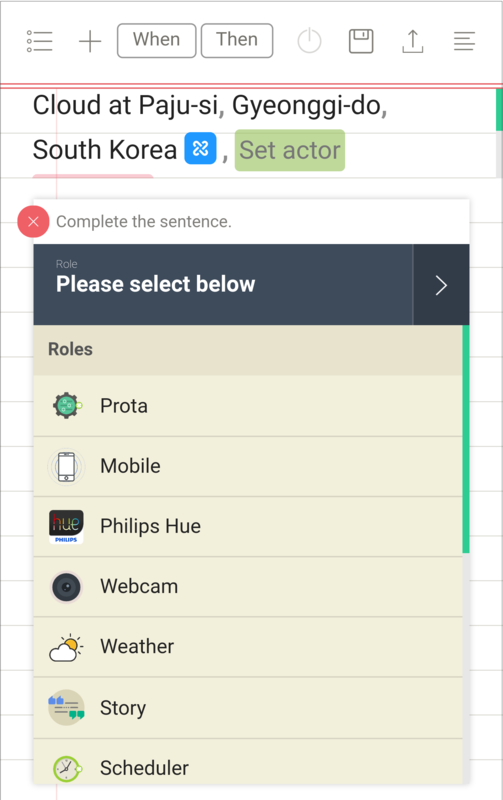 Stories app is Prota's tool to create automation rules based on natural language. 3. Click on 'When' and the frame of the storyline appears. 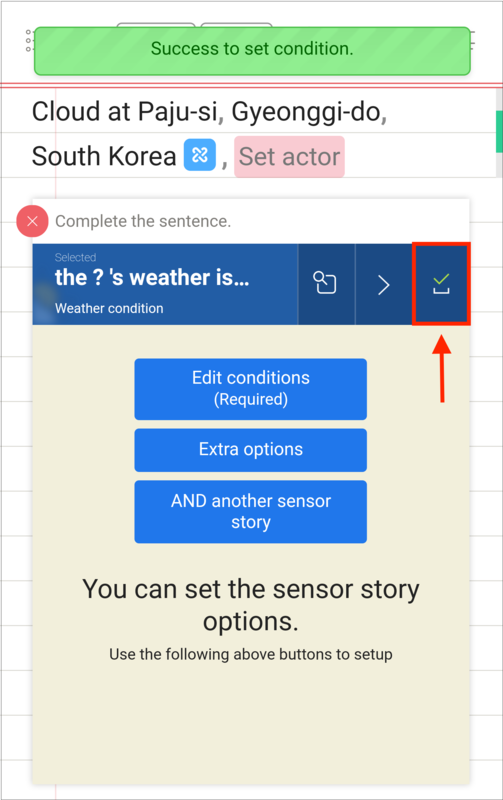 The sensor-story is a set of conditions or circumstances that, if they are realized, trigger the storyline. It is composed of a Sensor and an Event. 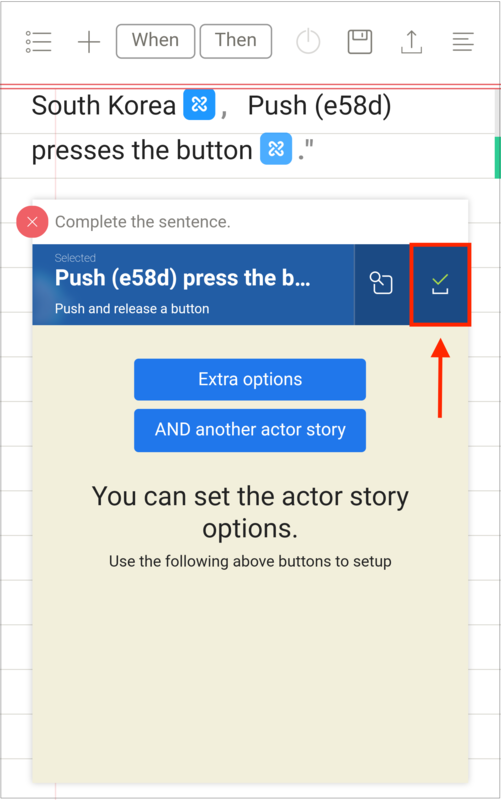 The actor-story determines the action of the storyline and is composed of an Actor and an Action. - click/tap on 'Set sensor'. The list of available sensors appears. Select your sensor. 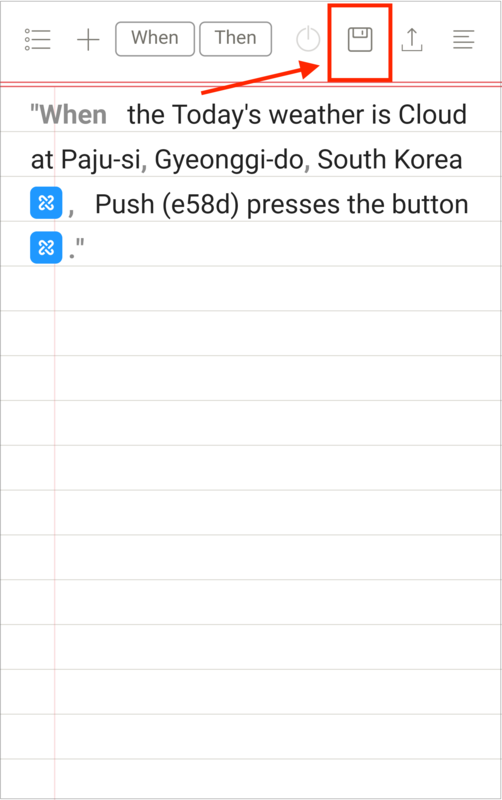 - Once your sensor is selected, the list of corresponding events appears. Select your event. - Set the conditions for your event and/or set extra options (duration) if necessary. 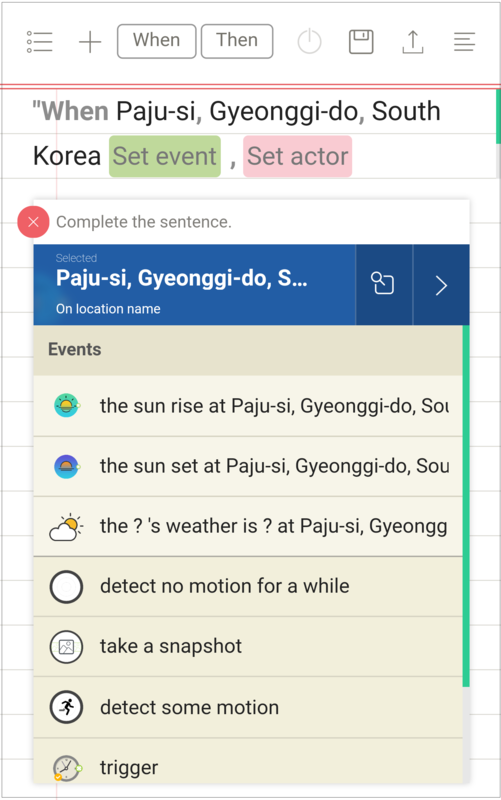 - Save your sensor-story by tapping on the 'check' icon at the top right corner. 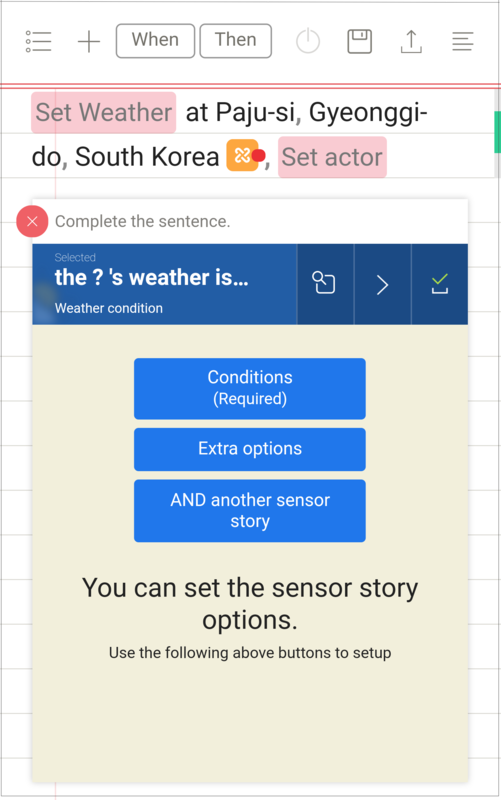 Your sensor-story now appears in the storyline. 5. Repeat the same process to set your actor-story. 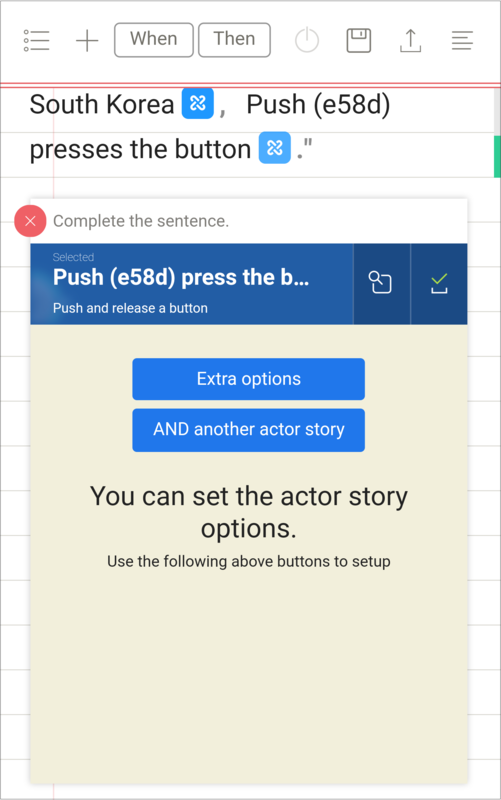 - click/tap on 'Set actor'. The list of available actors appears. Select your actor. 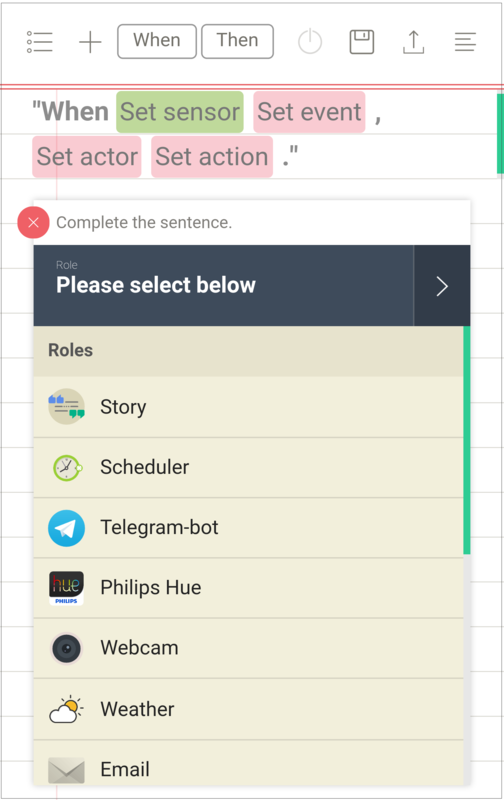 - Once your actor is selected, the list of corresponding actions appears. Select your action. 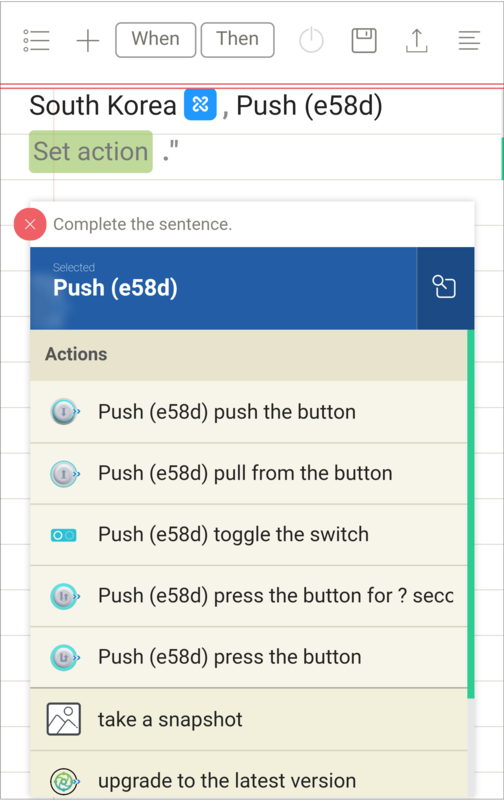 - Set the conditions for your action and/or set extra options (delay, repeats operation) if necessary. 6. Save your story by clicking on the 'save' icon. Done!